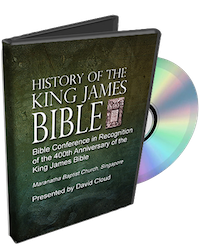 This Bible Conference was held in Singapore in recognition of the 400th anniversary of the publication of the King James Bible. The messages cover John Wycliffe, William Tyndale and the King James translators. The download set consists of 3 individual .mp4 video files. Soon to be on Vimeo, YouTube, and our Audio page.